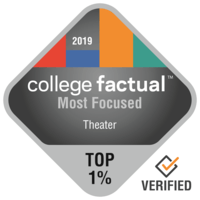 A more complete picture of where California Institute of the Arts is the "best of the best" can be found on our 2019 Badges Awarded page. Learn more about our methodologies that drive these rankings. California Institute of the Arts has no rankings in this category.